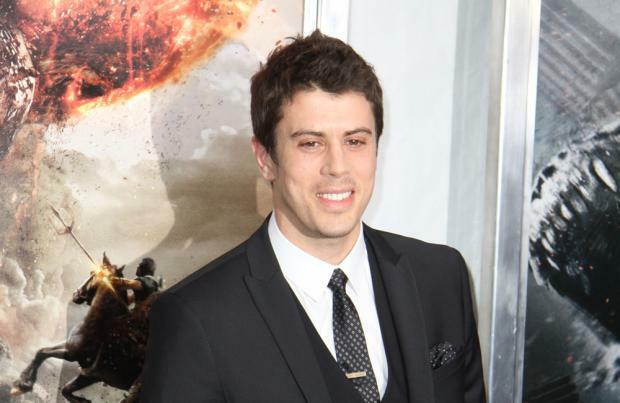 Toby Kebbell told his employers he had a dentist appointment when he needed time off to audition for 'Dawn of the Planet of the Apes'. The 31-year-old star plays Koba in the forthcoming sci-fi film and he lied to get out of the work when he was starring in a three-part drama to make sure he was able to meet Andy Serkis who plays Caesar. He told collider.com: "I was a massive fan of the first one. I was working in London, and I got an audition for it so I had to pretend I had an dentist appointment to come to the audition cos I was playing a lead on a three part drama. So I pretend I had a dentist appointment and I met Andy, I was very nervous, because he's awesome." Although Kebbell doesn't know what made Serkis pick him he is thankful for the opportunity. He added: "And we went to his place in London called Imaginarium, where we did a screen test. A kind of motion capture screen test. We put on a suit, and I did two scenes with Andy. Sort of short you know, basically, wasn't ... I have no class but for some reason, he thought I would be fun to work with. So yeah I was blessed." Ten years after the events of 2011's Rise of the Planet of the Apes, simian leader Caesar (Serkis) must work with human leader Malcolm (Clarke) to forge an alliance between apes and men. Thought-provoking and exciting, with fine performances from Serkis, Clarke, Oldman and Kebbell, it's a blockbuster for grown-ups.